Continuing our highly enjoyable series of Moreland BUG Wednesday rides we will have a leisurely ride taking in the delights of mysterious Craigieburn. 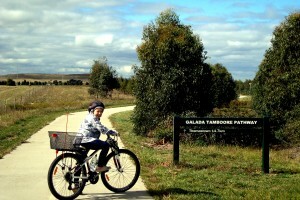 We will head north up the Upfield Path, east along the Ring Road and north along the Galada Tamboore Pathway (or Craigieburn Bypass Trail). We will then return via Roxburgh Park with optional return by train if anyone needs to get home early. Text me or reply to this message if you are interested. If you want to plan ahead, rides will be every fortnight on even weeks.